1) Where is this delightful little skeleton then? The baby chimp is engaging in what the popular press have dubbed “Health Tourism”. Hopefully you have seen some of the hoohah around our extraordinarily exciting project Bone Idols: Protecting our Iconic Skeletons. 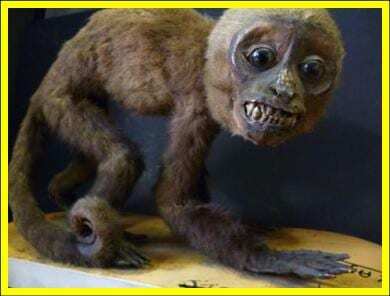 Well, the chimp has been packed up and sent away for some extremely important conservation work. Along with the rhino and the orangutan that I’ve already written about, the chimp is away for the rest of the month with a specialist skeleton preparator. 2) Chimpanzees are listed as Endangered by the International Union for the Conservation of Nature. It earned this ranking as its population is expected to have decreased by over 50% over the course of three generations (from 1970s to 2030), and the causes for this decline are not expected to cease. This means that museum specimens of chimps are extremely important. For one thing it renders them effectively uncollectable today. 3) The skeleton in the Grant Museum is in urgent need of conservation to allow us to continue to use it in teaching, research and public engagment, and that’s why it’s included as one of the 39 specimens in the Bone Idols project. We are asking the public to help us raise the second half of the funding for this project, via our online giving page. 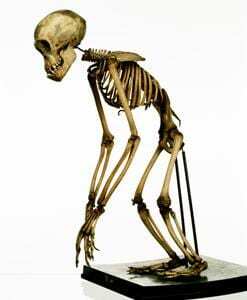 4) As part of the Bone Idols project, the chimp will be remounted on a new base, be dry and then chemically cleaned to remove decades of particulate pollutant build-up and have repairs to the limbs and mount. We have already commissioned a new case for it, to protect it from future damage once it returns to us freshly conserved. 5) Once again The Curse of The Disappointingly Poor Historic Documentation strikes again. We don’t have a lot of information about where this specimen comes from. 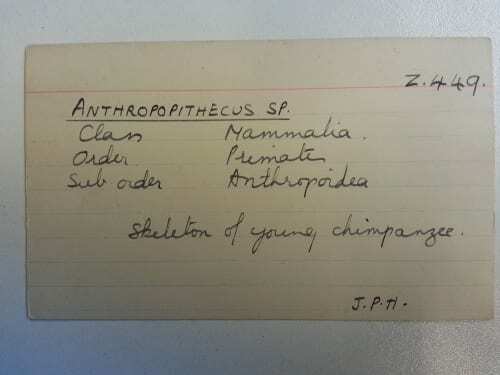 On the specimen’s index card – a cataloguing system employed here from the early 20th Century up until the 1960s – the letters “J.P.H” are written. It is fair to assume that this represents James Peter Hill, who was our Curator from 1906 to 1921. 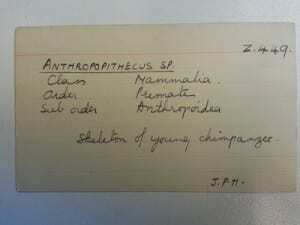 However it is not clear if JP Hill bought the specimen, donated, wrote the card for it or merely acquired it for the collection. Nevertheless it gives a maximum date for when it was collected. We would be extremely grateful for any support you can give the Bone Idols project.